The default color style (texture) is Solid. 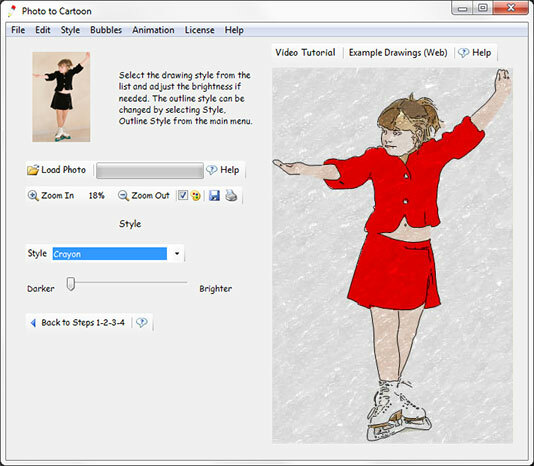 To change the style click on Style in the Step 4 toolbar and select a new style. 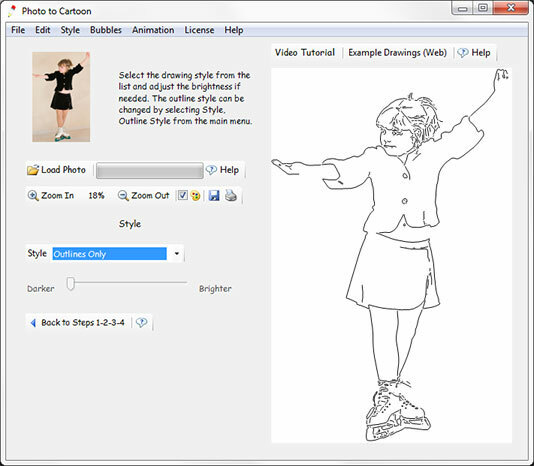 Additional available styles include Canvas, Crayon, Coloring Book styles and others, as shown below. The Coloring Book style displays the outlines and the boundaries of the solid color regions. This style and the Outlines Only style are further discussed in the Making Coloring Pages section. The Style control also includes the Brighten Colors slider that brightens/lightens colors, as in the pictures below. 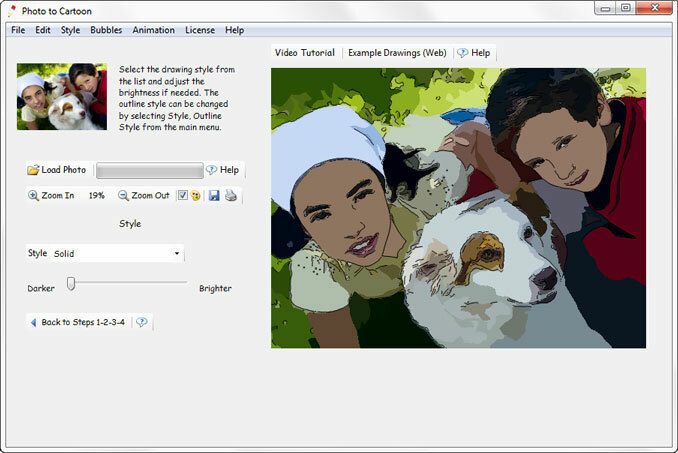 The Color style and brightness can be changed at any time and the Step 1 - Step 2 - Step 3 changes can be done with any of the color style settings. However, it is advised to proceed to Step 4 only after Steps 1, 2 and 3 are completed because fine Split and Merge changes may be harder to see with any style other than Solid, whilst Replace Color is not accurate after the color brightness is changed because Replace Color modifies the original color, not its brightened derivative. The Outline style can be changed by selecting Style, Outline Style from the main menu. Setting the Min Line Length value to a number higher than one suppresses short lines. Setting the Line Spacing value to a number higher than zero prevents the outlines from overlapping and intersecting.